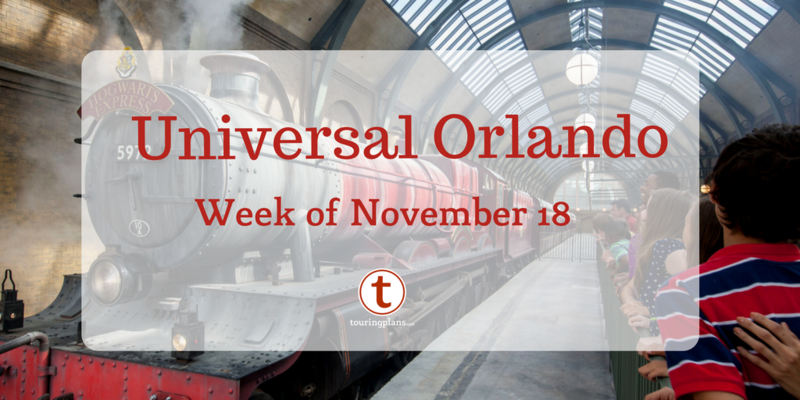 This week’s SATURDAY SIX takes a look at 6 Magical Reasons We LOVE The Wizarding World of Harry Potter – Hogsmeade! Over the years we have given an in-depth look at several of our favorite lands at Universal’s Islands of Adventure, including; Port of Entry, Marvel Superhero Island, Jurassic Park, and Seuss Landing. 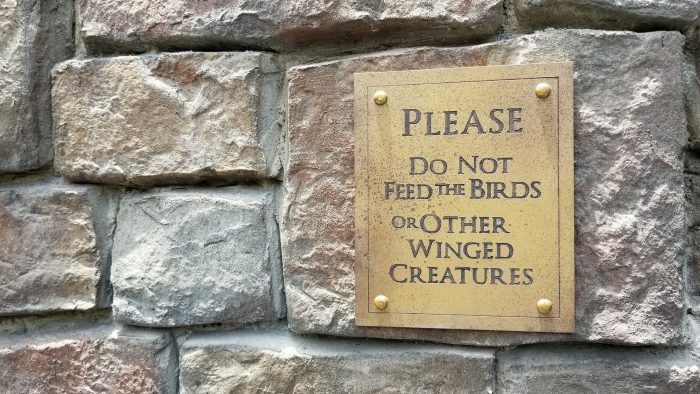 This week – as we prepare for the 8 year anniversary of one of the biggest dates in theme park history – we head back to IOA and ride on the back of a Hippogriff into the Wizarding World of Harry Potter – Hogsmeade. Many readers today may not realize, or have completely forgotten, that it was actually a decade earlier when Universal made their first major move against Walt Disney World. 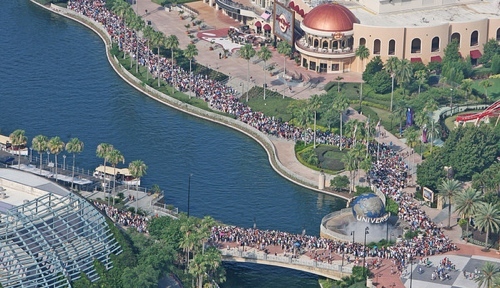 In 1999, Universal Studios Florida was joined by Islands of Adventure, Universal CityWalk, and several onsite hotels in a major splash to turn “Universal” from a one day theme park experience into a true vacation destination. However, as fans of the movies John Carter and Tomorrowland will tell you, sometimes marketing can make you – or more importantly – break you. Universal branded the new complex Universal Studios Escape, and to say it did not connect with the average guest is an understatement. 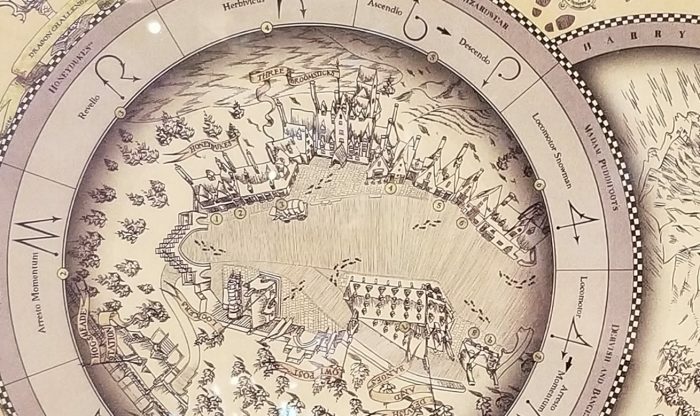 Insiders say that Walt Disney World was all geared up to “respond” to Universal with new attractions, but kept their arrows in the quiver when it was clear Universal hadn’t made a dent in the armor. In the late 2000s, Universal made a pitch to author JK Rowling for theme park rights to the Harry Potter universe. 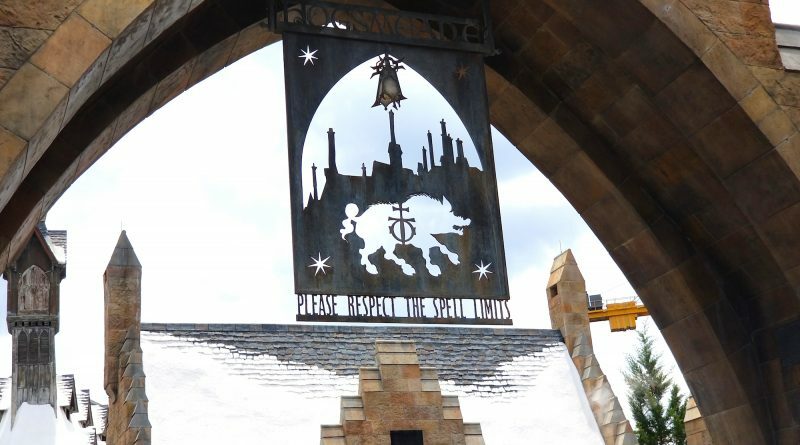 In many ways a last ditch effort to save the entire resort, the ensuring land based around Hogsmeade Village not only completely changed the course of the Universal Orlando Resort, it rocked the entire theme park world. Disney would see its market share in Florida dip below 70% for the first time ever, while SeaWorld has yet to recover from the effect of The Boy Who Lived. 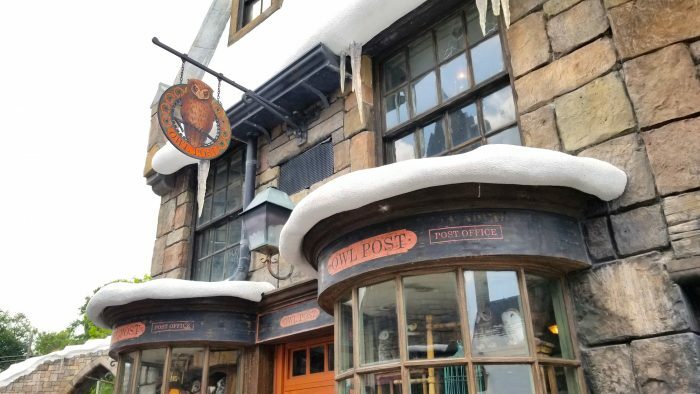 Next to Ollivander’s is the Owl Post, and outside of that is a manned Owl Post station where you can mail letters and get them marked with an actual Hogsmeade stamp. 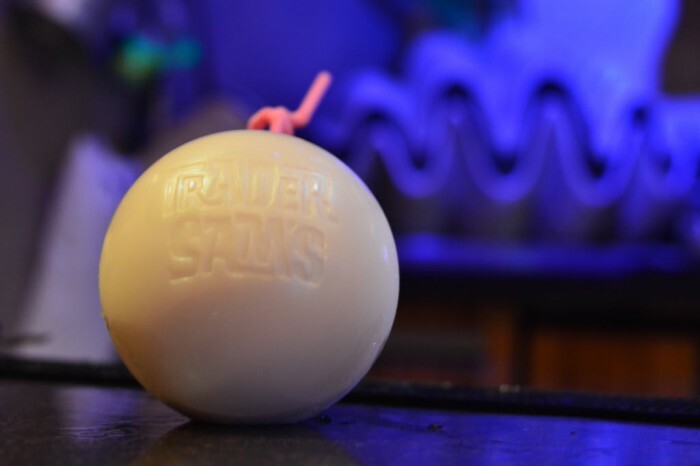 We all have friends and family who can’t make it down to Orlando, and this is one of the cheapest souvenirs you can get for them. 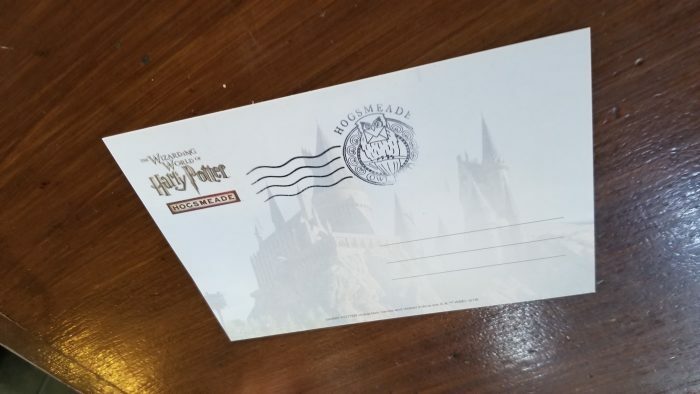 It can also be a unique Wizarding World item to have waiting for you once you return home from vacation, so consider mailing something to yourself. 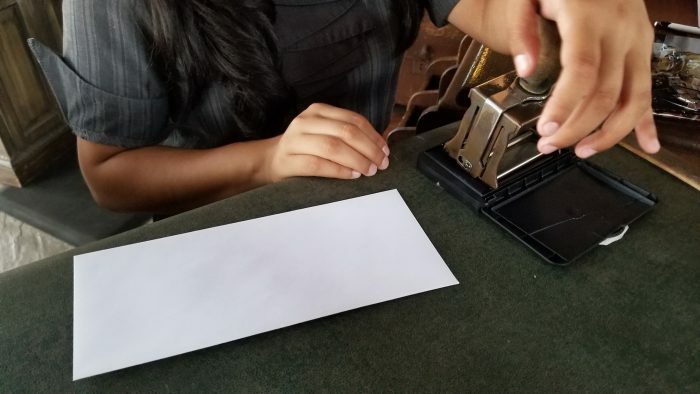 There is stationery you can buy in Hogsmeade Village to write your letter, or you can just bring your own. 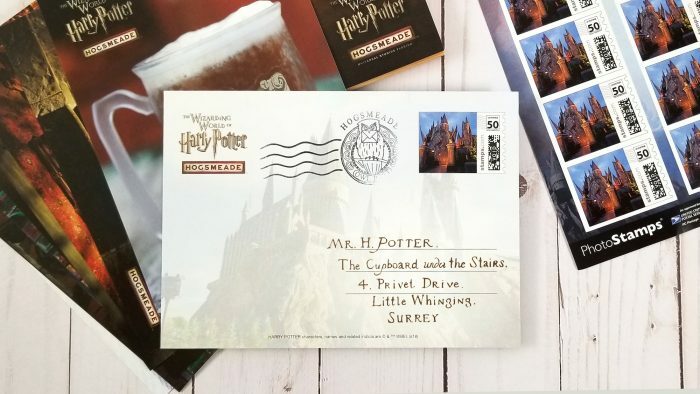 In fact, you can get anything flat stamped (except your skin,) so consider bringing a copy of Harry Potter and the Sorcerer’s Stone and get a stamp on Chapter 3 (The Letters from No One.) 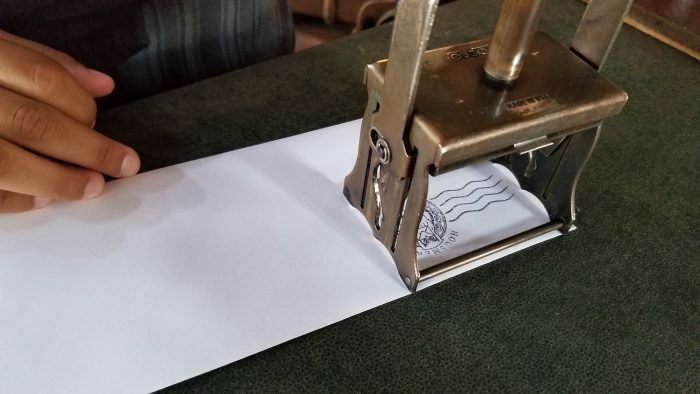 Keep in mind you are also responsible for your own postage. 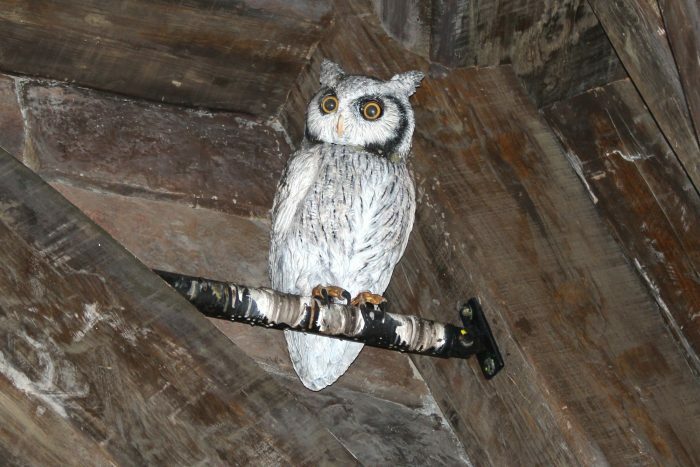 Once you are ready, take your mail to the witch or wizard manning the station, and he or she will stamp your envelope and hand it off to Errol, Pigwidgeon, or the next owl up for delivery. 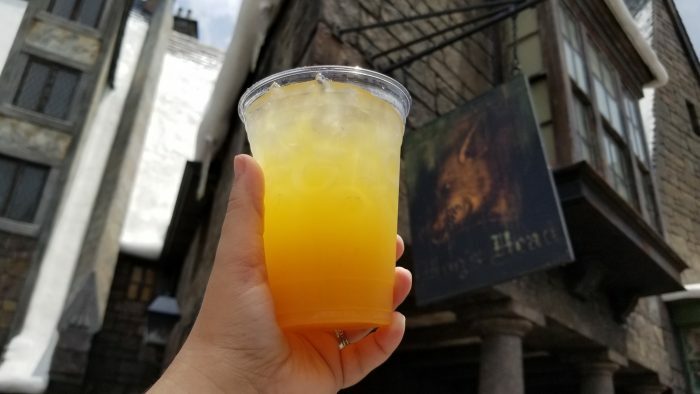 However, one thing you gotta check out at The Hog’s Head is the various “off menu” drinks that combine several favorites. Some examples include the Black Hog (Hog’s Head Brew on bottom and Guinness on top,) Hog’s Bite (Strongbow Cider topped with Hog’s Head Brew,) Hog’s Tea (a traditional Long Island Iced Tea with actual iced tea used in lieu of soda,) and the Pear Dazzle (vodka mixed with pear cider and a splash of lemonade.) 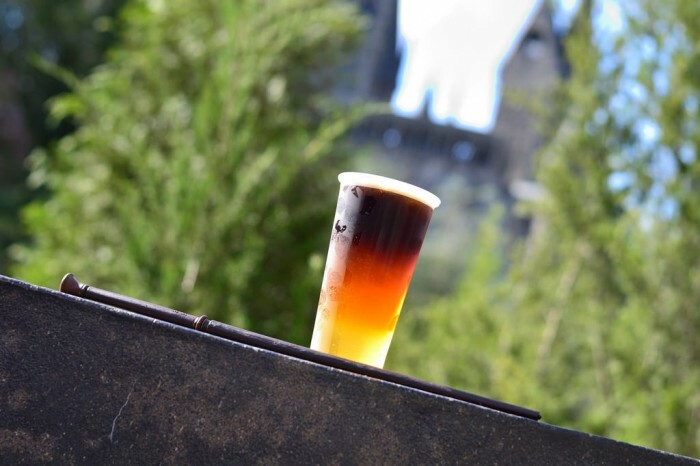 One of our favorites is The Triple, which has pale golden Strongbow Cider, topped with the amber hued Hog’s Head Brew, which is then topped with a dark Guinness. 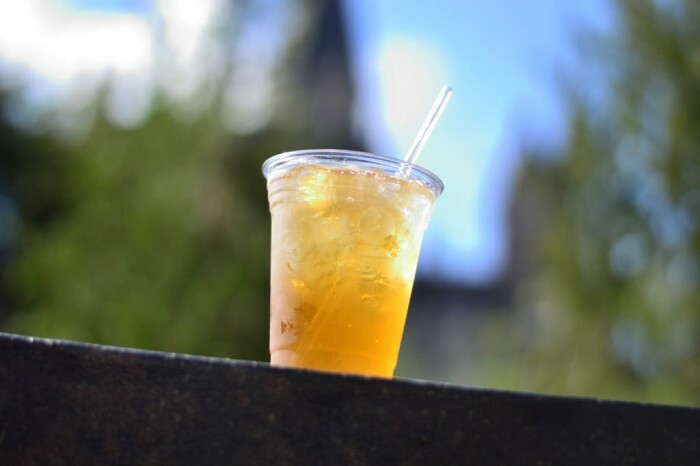 Who needs a sip of Felix Felicis when you have a drink lineup this good?! For our next entry, we once again go back to Sorcerer’s Stone. Like Harry himself, we Muggles were slowly introduced to a whole new world of wizardry. 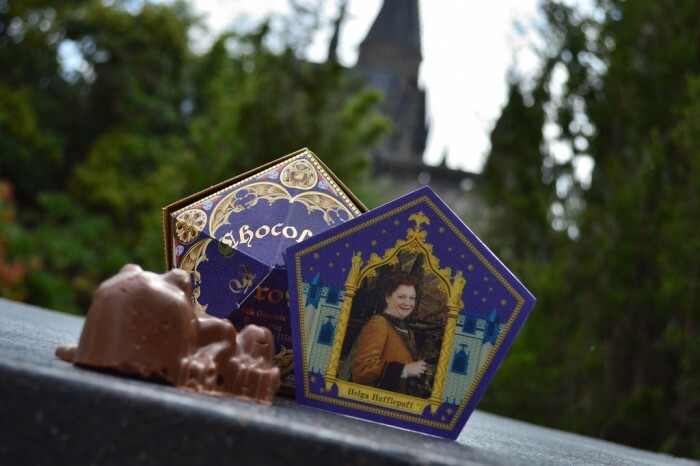 One of the first bits of true wonder came during Harry’s trip aboard the Hogwarts Express as he was introduced to a Chocolate Frog. 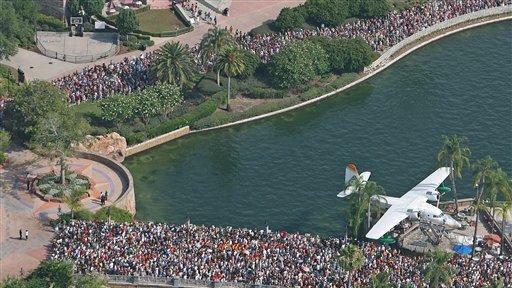 Universal took this memorable moment of the film and recreated it for the parks, but then went even farther. 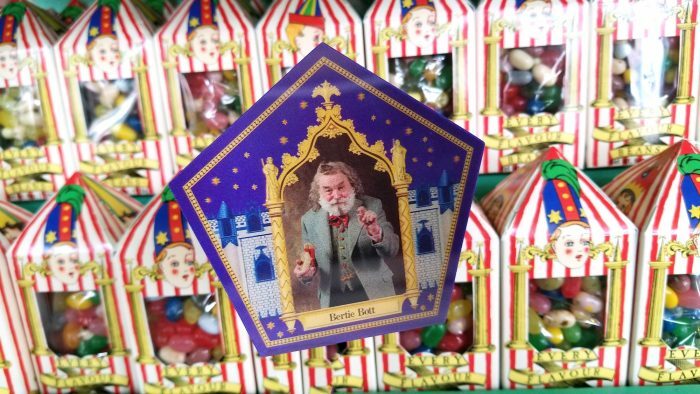 The Potter film explains that each Chocolate Frog comes with a Wizard Card, and so does each one sold in Hogsmeade. 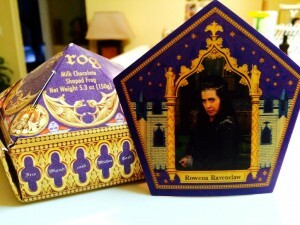 The Frog boxes at the parks originally came with cards randomly containing one of the four founders of Hogwarts (Godric Gryffindor, Salazar Slytherin, Rowena Ravenclaw and Helga Hufflepuff.) 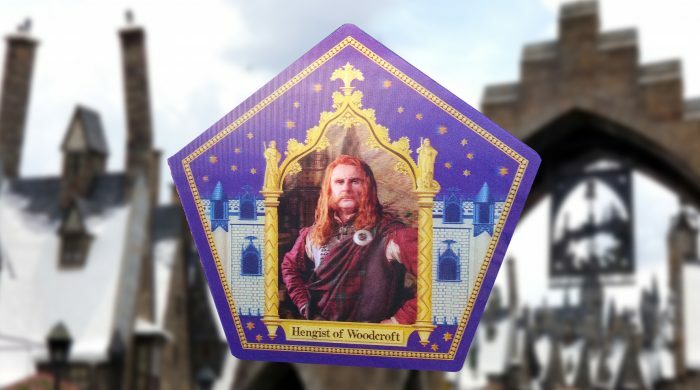 In years since, several other members of the Wizarding World have had cards added to the mix including Albus Dumbledore, Gilderoy Lockhart, Bertie Bott, and Hengist of Woodcroft (the founder of Hogsmeade village.) 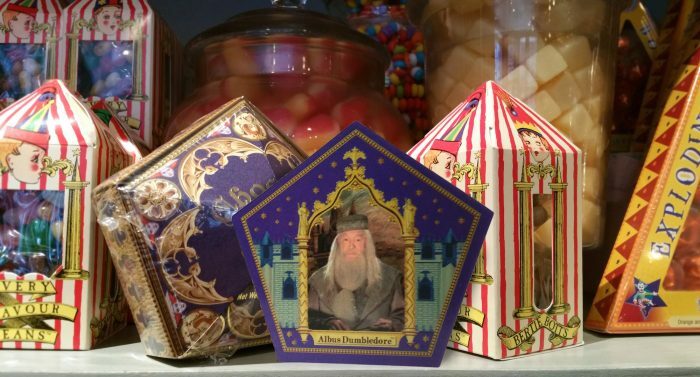 While the chocolate frog, itself, isn’t going to make Messrs. Hershey, Lindt, or Cadbury lose sleep any time soon, the overall quality of the entire package is among the best on property and a perfect gift to buy for the Potter fan back at home. Universal’s Wizarding World is based around the Harry Potter film Universe, and – like many – our favorite Potter film is Prisoner of Azkaban. 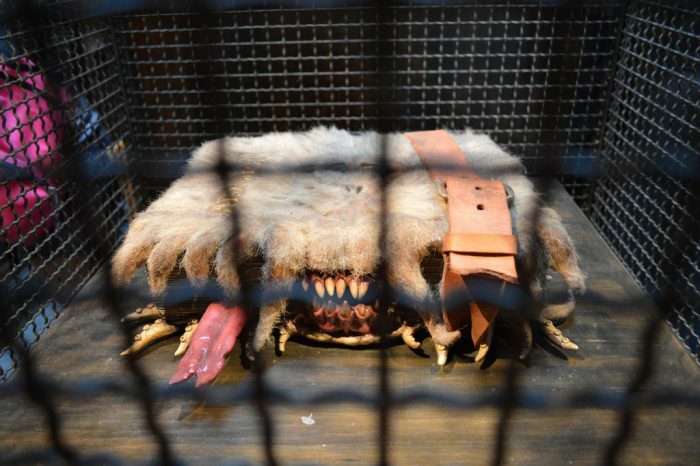 One of the fun moments in that film was when Harry got the Monster Book of Monsters, a textbook assigned to him by Hagrid for the class on Care of Magical Creatures. 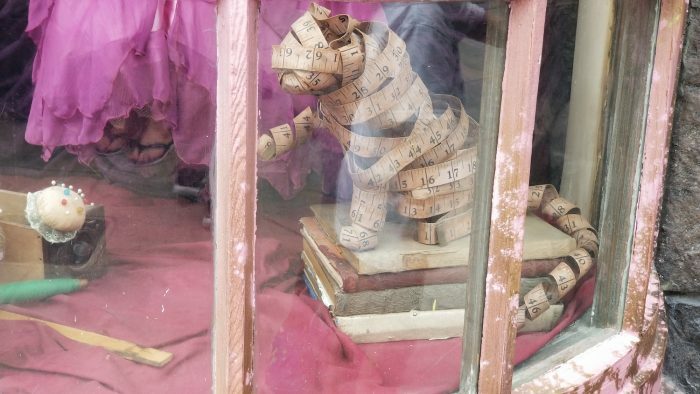 Both whimsical and a bit scary, the book would try to bite the fingers off anyone trying to read it unless they stroked the spine. 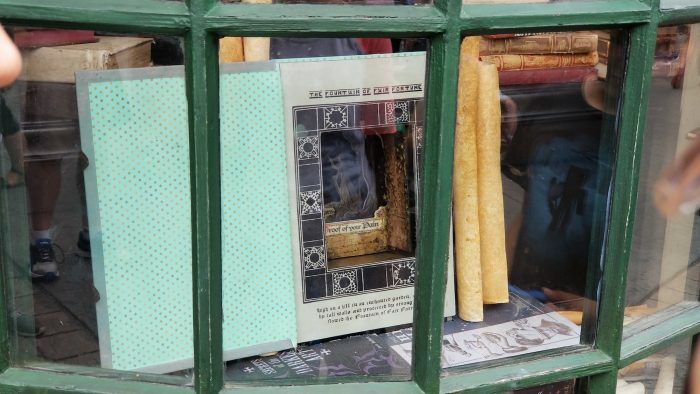 An extremely memorable moment in Potter lore, the Monster Book of Monsters can be seen in Hogsmeade inside the Dervish and Banges store. We here at the SATURDAY SIX love theme park bathrooms and the following is is one of the all time great details in any theme park loo. 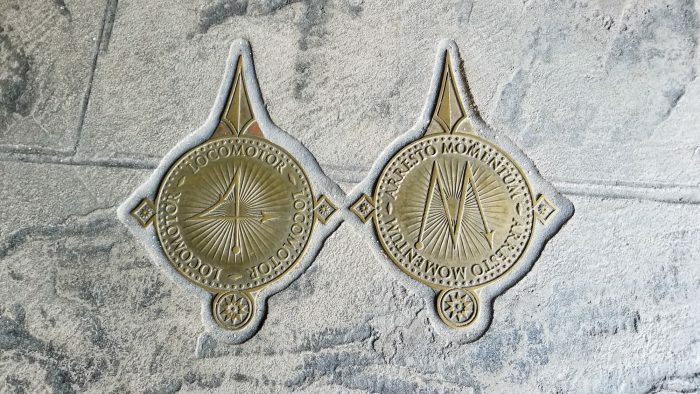 Moaning Myrtle, the school girl who died at Hogwarts in 1943 and continued to haunt the lavatories as a ghost, can also be found in the WWoHP. 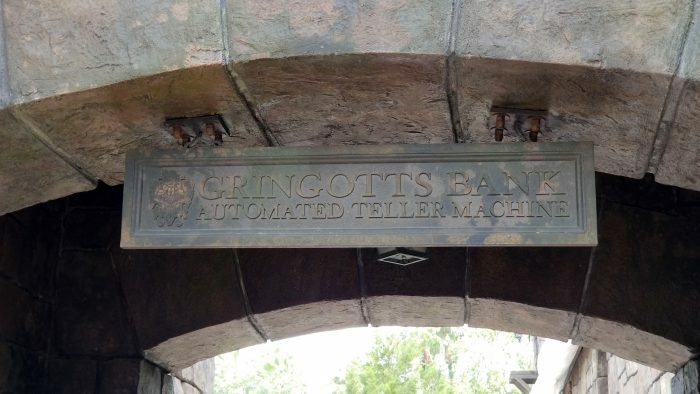 That’s right, head into the “Public Conveniences,” and you can hear Myrtle herself talking to guests inside. 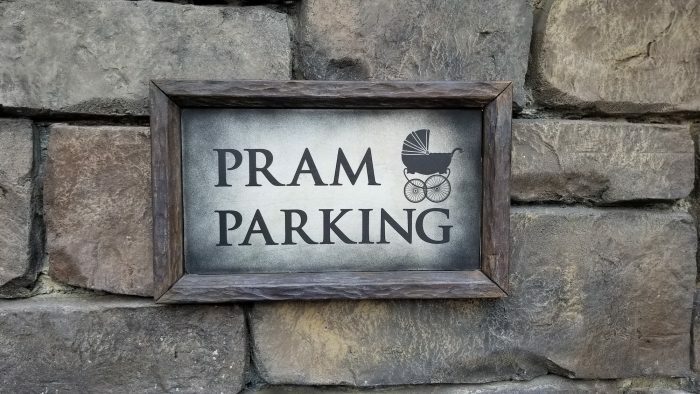 Speaking of details, signs for Public Conveniences instead of Restrooms and Pram Parking instead of Stroller Parking are the cherry on top of the sundae of the level of detail that is throughout Hogsmeade Village. 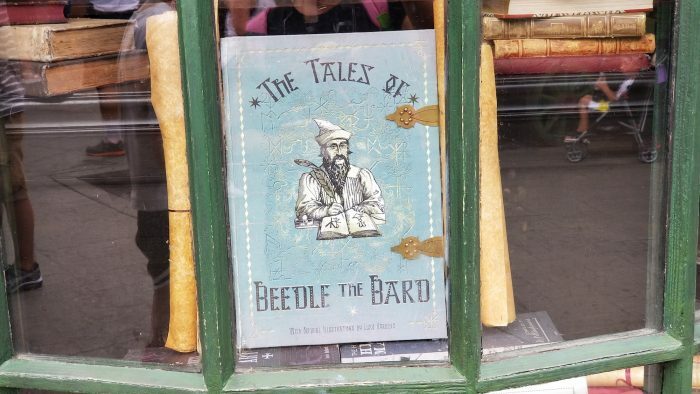 Be sure to spend some time window shopping in Hogsmeade and take in all the amazing details. 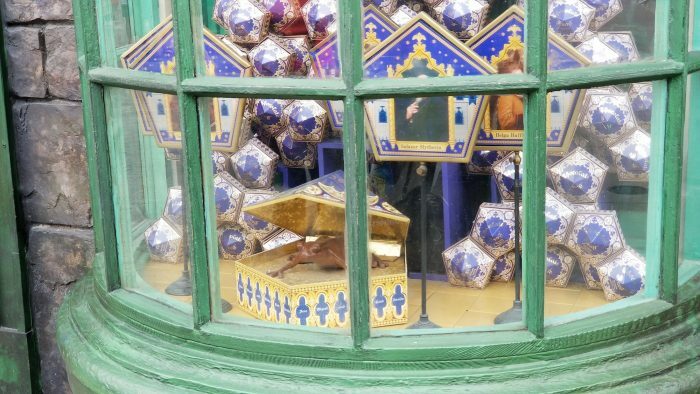 You don’t have to be a huge fan to appreciate all the work put into these windows, but if you are a fan of the books or movies, you will be blown away. 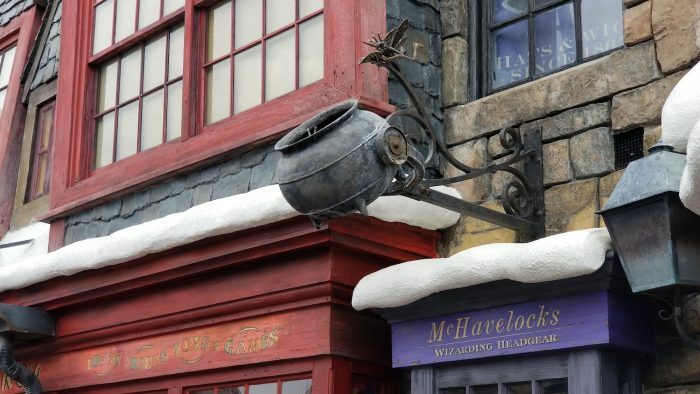 When Hogsmeade opened in 2010, it seemed to sell as many wands as it did Butterbeer (a drink that was rumored to have made Universal so much money by itself that it could have completely paid for the Wizarding World addition within the first six months.) 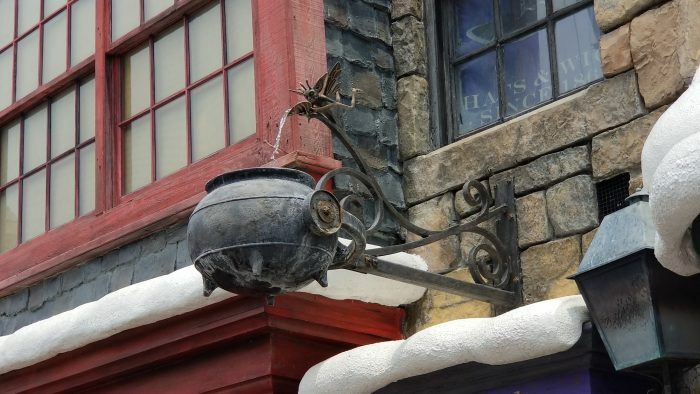 When Diagon Alley opened in 2014, it brought along with it the introduction of interactive wands. 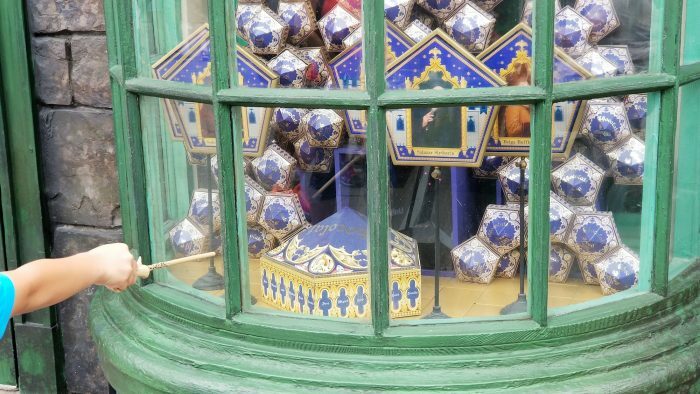 Slightly heavier than their original counterparts, these new wands allow guests to perform “spells” in both Diagon and Hogsmeade. 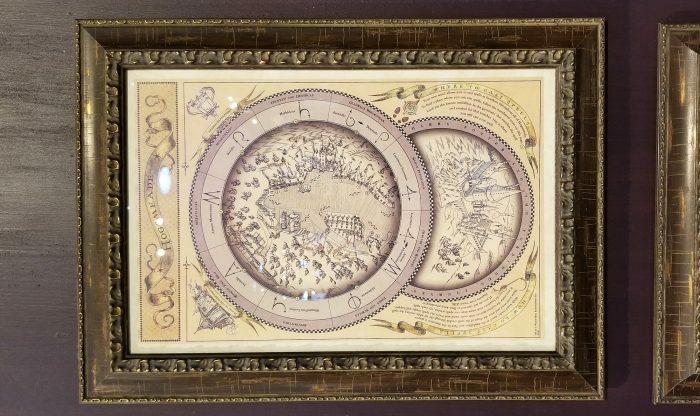 Any interactive wand bought at Ollivander’s (or elsewhere on property) contains a map with all the locations available to perform spells in both Wizarding World locations. As TouringPlans own Len Testa discussed on a recent episode of The Disney Dish Podcast, The Mouse is hard at work trying to perfect “working” lightsabers for the upcoming Star Wars: Galaxy’s Edge. 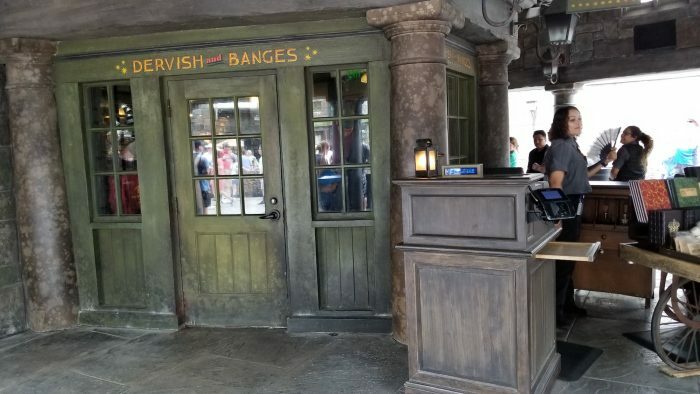 Interactivity is one of the hottest trends in theme parks, and no doubt that fire was stoked by the popularity of Universal’s wands. Instead of just walking through the land, guests actually have an opportunity to interact with various themed elements in a fun and unique way. 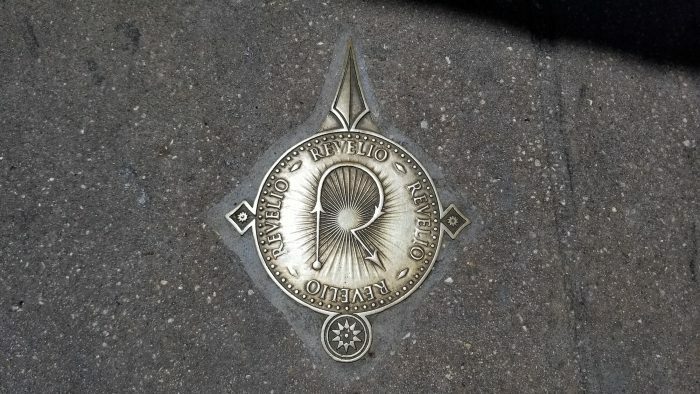 Spell markers on the ground show guests the movements they need to replicate with their wand, along with the spells name. 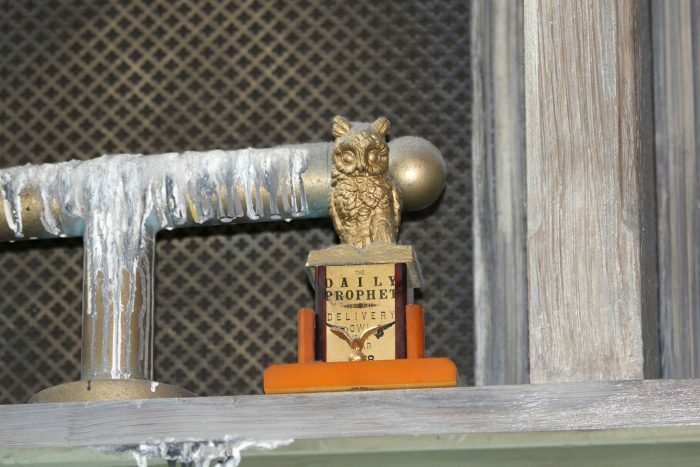 Owls play a major part of the Wizarding World, and one detail Universal added which makes the entire area feel real is owl poop. 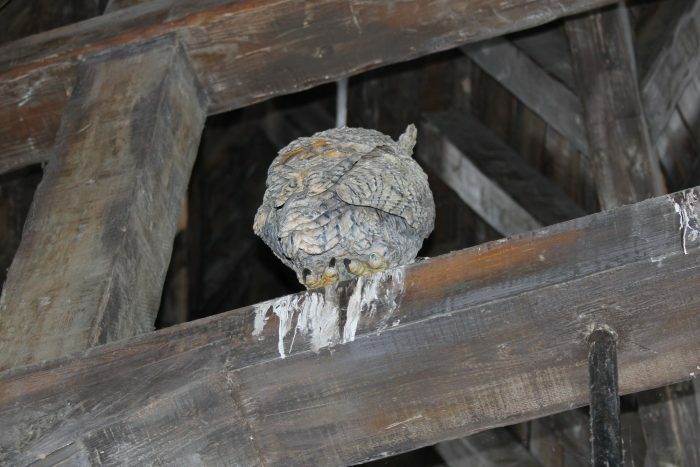 It may seem crazy to hear, but anyone who has been around any type of bird knows what type of mess they make. It just comes with the territory. 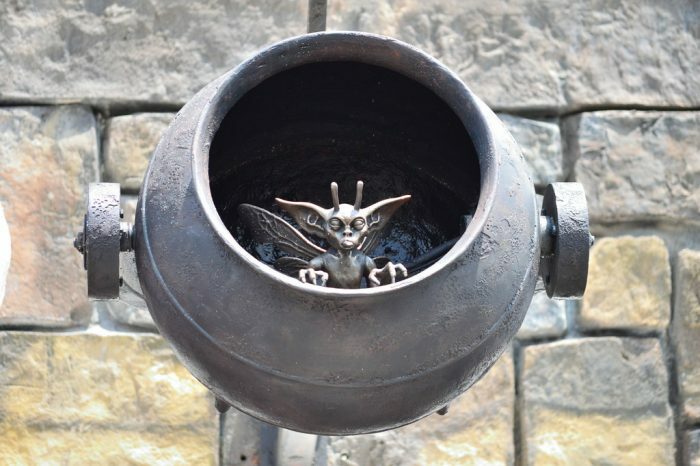 Wherever there are owls inside Hogsmeade, you are sure to see themed owl poop nearby. It’s so realistic and natural that you don’t think anything of it. 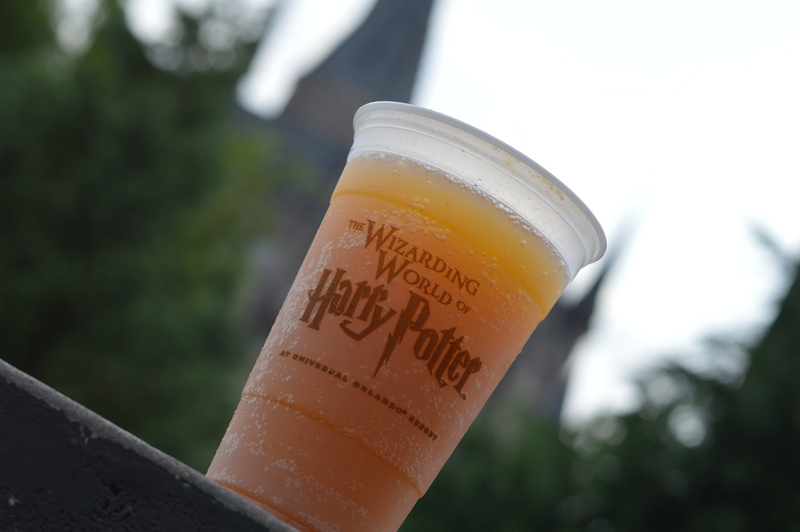 So there you have it: Six Reasons We LOVE the Wizarding World of Harry Potter – Hogsmeade! See you next weekend for the latest installment of the SATURDAY SIX, where we’ll look at something fun from the world of Disney and Universal. If you enjoyed yourself, be sure to check out The Magic, The Memories, and Merch! articles, or, for your listening pleasure, check out the E-Ticket Report podcast. You can also follow Your Humble Author on Twitter (@derekburgan). 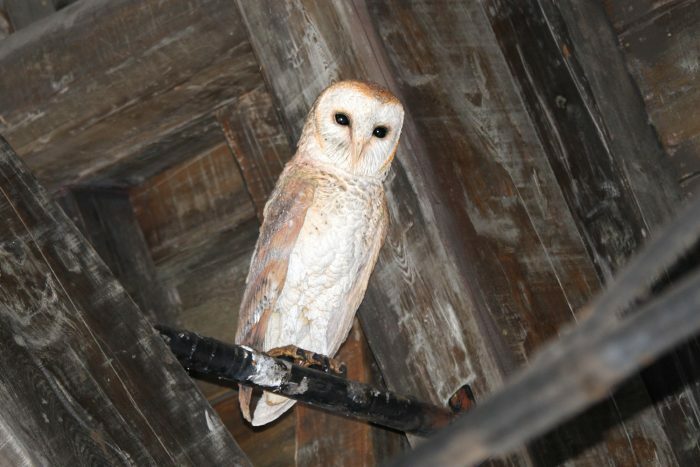 Special Thanks to our spirit animal Brandon Glover, the siren of secret shopping @HedgehogsCorner, the SAT SIX Fun Squad of Parkscope Joe and Nick, and blogger to the stars Megan Stump for their invaluable assistance with this article. 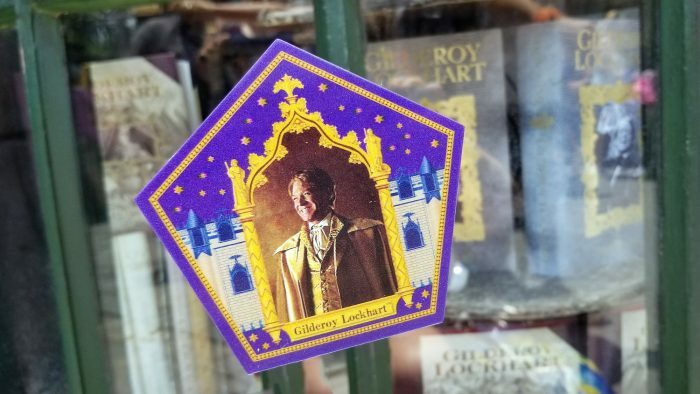 Be sure to also check out Brandon on The Park Blogger podcast with goofballs co-hosts Aengus Mackenzie and LitemAndHyde , while fellow Potterheads may enjoy Meg’s work on the Central Florida Slug Club. Unfortunately, very unfortunately, they will not let you order a Hog’s Tea anymore. The bartenders got in trouble with making up names and will not do anything until you order a long island tea. Stupid management!